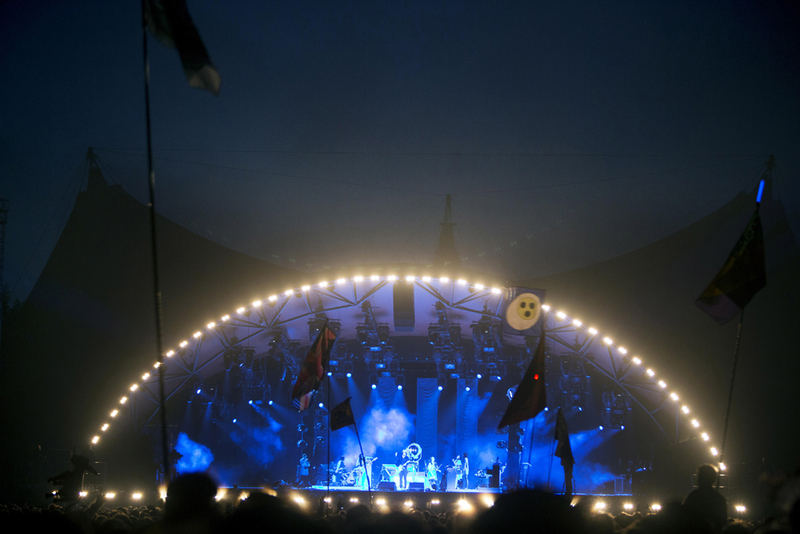 Martin lighting fixtures have graced Roskilde stages for years, perhaps most notably the iconic Orange Stage where this year big name headliners like Bruce Springsteen, Björk and The Cure continued to cement Roskilde’s reputation as one of Europe’s top summer music festivals. “Unfortunately,” says lighting designer Kasper Lange, “the Orange Stage also has some technical challenges. There is very little space on stage and only seven meters of clearance, so it is very problematic to create a successful design that also creates space for the visiting artists’ production.” Kasper served as lighting designer for the Orange Stage, a role he has taken on for several years now, while colleague Jonas Ritz had responsibility for the technical preparation. All lighting for the Orange Stage was supplied by Litecom. Kasper says they had to accept the consequences of the limited space and therefore created a design that allowed for the most space and height for performers. 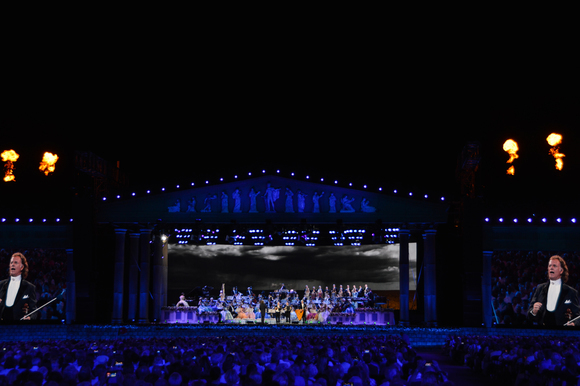 Their first goal was to find a type of moving light that would satisfy and fulfill all the guest designers’ requirements and, according to Kasper, the obvious choice was the 1500-watt Martin MAC III Profile. “Instead of having both wash and profile fixtures, we chose to only offer the MAC III Profile based on the philosophy that the fixture is so powerful that it can fill both needs, and the customer can, while on site, decide how he wants to use the rig, ” Kasper commented about the high-performance, full-featured spot luminaire. With over 33,000 lumens of brightness and a unique fat beam, the MAC III Profile has been a lighting designer favorite and an industry staple on tours and special events since its launch in 2008. For audience lighting Kasper wanted a small, powerful and economical wash lamp and after having used the MAC 101 on television designs the last two years with what he calls “great satisfaction,” Kasper says the fixture was also the natural choice for Roskilde. “I'm still very impressed with the output of such a small and handy product,” he says. The Arena Stage is the festival’s largest concert hall, a huge tent with a capacity of 17,000, and arguably Roskilde’s second premiere venue. This year’s concept for the Arena Stage was highly flexible and hugely appreciated - every band had the opportunity to choose from seven different truss designs, each dressed in black skirting for a theatrically clean-looking stage. That flexibility manifested itself in a lighting rig that moved, with lighting fixtures that could adapt to artists’ needs. “The choice of the MAC 301 and MAC 700 came down to needing a spot and a wash and they were good lights within the frame of our budget,” Christian stated. 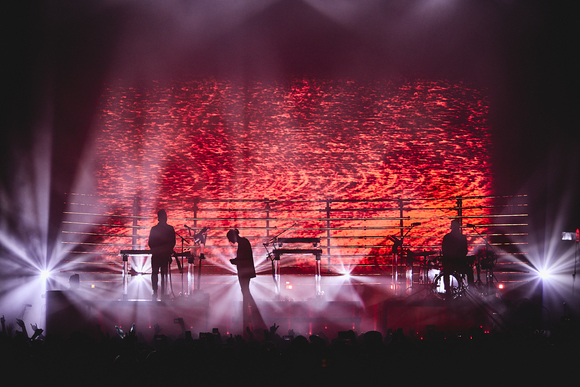 “It was, however, important for us that the lights were from a well-known manufacturer since it should be as easy for the guest band as possible to patch them into their own show. This was actually appreciated and commented upon by artists’ LDs who have struggled with console profiles at other festivals. It was a true pleasure working with Comtech, Roskilde and the Martin fixtures,” he concludes.